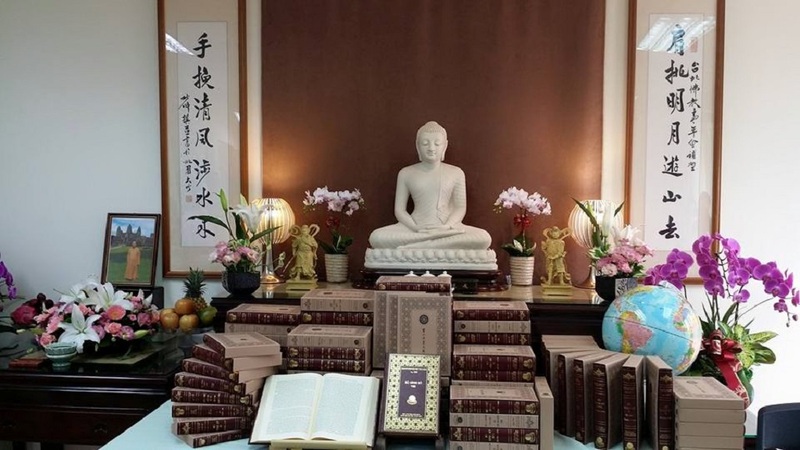 After assembling a team in Vietnam consisting of first-rate scholars in the fields of Chinese, Vietnamese, and Buddhist studies, over the course of two decades the Linh-Son Culture & Education Foundation has produced an enormous amount of translations, including the first Vietnamese translation of the entire Chinese Buddhist Canon. All of these translations have been collected into a 187-volume set titled Linh-Son Dharma Treasures, which includes the Taisho Tripitaka (volumes 1 to 54); the Xuzangjing; the Vinaya Pitaka of the Pali Canon; and the Guhannanwen jingshu. A number of modern works have also been translated, including The Collected Works of Master Taixu; The Collected Works of Master Yinshun; Encyclopedia of Chan (100 volumes); Encyclopedia of Pure Land; the Haichaoyin book series; and the Foguang Dictionary.